If you enjoy playing word games, we have a fabulous way for you to earn money online. We have several word games you can access through an iRazoo account. Here’s how to find them and put your word power to beneficial use. First, we have to log into our iRazoo account. The login button is found in the upper-right of this page. Once we enter our login credentials, we’ll be taken to our Dashboard. When we click on that button, a new window will open. Here we can browse games or sort them by category. Using the “Word” tab at the top of the window, we can view just the games we’re interested in. Next, we scroll through the word games that are available and decide which one we want to play. If we want to learn more about the game, we click on it. We’ll see a new screen with plenty of information about the game, including screen shots so we can see exactly what it looks like. There are other words games too. At the bottom of the word game screen, we can find a list of games that are “Trending Now.” These are games that many users are using to earn points. Once we find a game we’re ready to play, we click on the orange “Play Now” button. This launches the game. First there’s a short ad for us to watch. There’s a countdown to show us when we can skip the ad. Then the game’s home screen opens. The rules appear first, and we have the option to uncheck a box so the rules don’t show. If it’s a game we’ve played a lot, we’ll probably do this. Otherwise, it’s nice to have the rules refresh our memory before playing. Now that you’re in the game, there are two separate ways to earn. The button we see will depend on which game we were playing. We may have another ad to watch before exiting the game. If so, a “skip ad” button will appear after a few seconds. For every minute we spend playing the same game, we get one iRazoo point. We’re limited to five points for each game daily and 500 total time playing points per day. Sometimes we notice an error accessing the games. We know this usually means a problem with Java or Flash. So, make sure everything is up to date and then try again. If you still can’t make the games work, check in with us over on our Facebook page and let us know. Once we’ve earned enough points playing word games, we can cash in those points for a gift card to our favorite retailer. We love helping the budget by simply playing games! Have You Tried Any Word Games Yet? 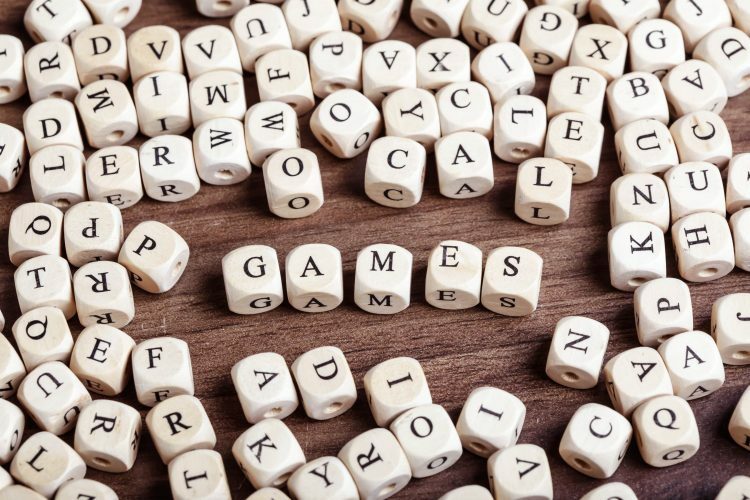 We’d love to hear your thoughts on the word games on iRazoo. Which is your favorite? Chime in over on Facebook.